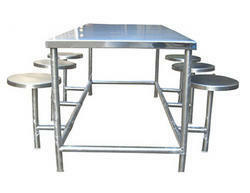 Prominent & Leading Manufacturer from Chennai, we offer ss dining table with stool, ss working table, ss canteen table, ss canteen dining table, ss standing table and ss center table. 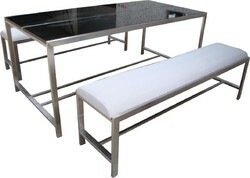 Backed by highly equipped units supported with latest technology and a well-trained team, we are able to timely deliver an optimum quality range of SS Dining Table with Stool. 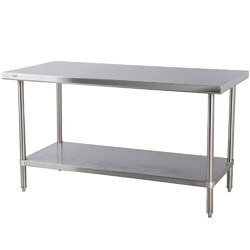 We offer our esteemed clients with a qualitative range of SS Working Table. 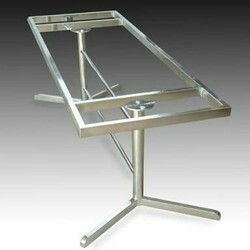 These are manufactured using premium grades of stainless steel and precision engineering techniques. Our range is also stringently checked on various parameters to ensure its compliance with the prevailing industry standards. 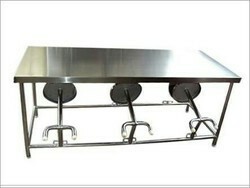 Under the huge assortment of kitchen products, we have brought forward SS Canteen Table. Used widely for commercial purposes, these products are available in various specifications in order to meet the specific needs of customers. 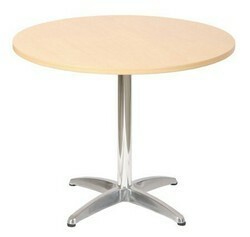 On the account by using these products, we assure our customers to have qualitative products from our end. Our offered equipment is manufactured as per the set industry norms and is carefully tested on diverse quality parameters to deliver an optimum quality product. 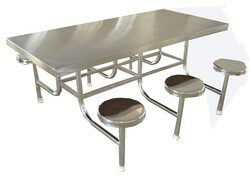 Backed by a team of proficient craftsmen, we are able to provide quality and reliable range of SS Canteen Dining Table that is finely materialized with the latest equipment. 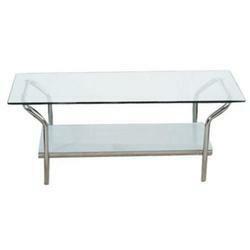 This furniture is extensively demanded in various commercial and residential applications like offices, showrooms, shops and houses to meet the specific requirements of the customers.